There’s an awful lot of ways to configure that box of metal that surrounds you and an engine, and there’s an awful lot of names for the various shapes that box takes. Why don’t you join me and my whiteboard in an interactive wondersploration of car body types and what we should call them? It’ll be freaking magical. 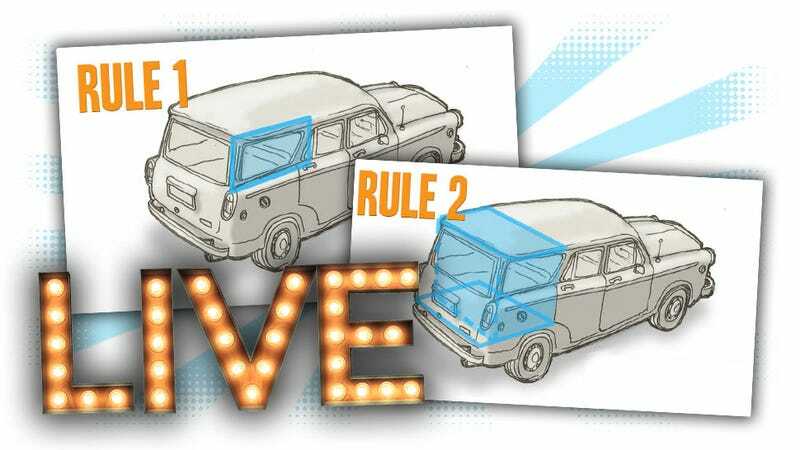 I’ve mentioned my Two Wagon Rules years ago, but I think it’s worth going over again. Plus, I want to talk about two-door sedans vs. coupés, shooting brakes, roadsters, and more. Plus, I want to interact with all of you LIVE so we can have arguments that all the non-gearheads around you think are just ridiculous. So, whaddya say? Let’s do this! Why is it called a &apos;Station Wagon&apos;? What Makes A Wagon A Wagon?